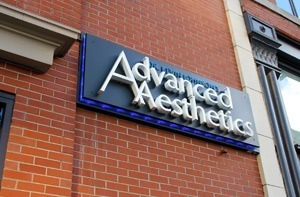 Advanced Aesthetics offers 2 convenient locations – in beautiful Coeur d’Alene, Idaho, and Spokane, Washington – for cosmetic surgery and advanced skin rejuvenation. Dr. Johnson’s Idaho practice is located near downtown Coeur d’Alene in the Spokesman Review Building near the shores of Lake Coeur d’Alene and the prestigious Coeur d’Alene Resort and Coeur d’Alene Resort Golf Course with the world famous floating green. We are often complimented on the look and feel of our offices when patients come to restore their outer beauty and recharge their batteries and inner beauty. Our friendly staff welcomes our patients to our public and private waiting areas, where refreshments are served daily. Educational material and videos are abundant to give our patients the information they need to make an informed decision about their cosmetic treatments and providers.